Today is the first day of the Issie top pattern tour!! Over the next three weeks, 30 talented seamstresses will be sewing up my pattern and I am honoured! 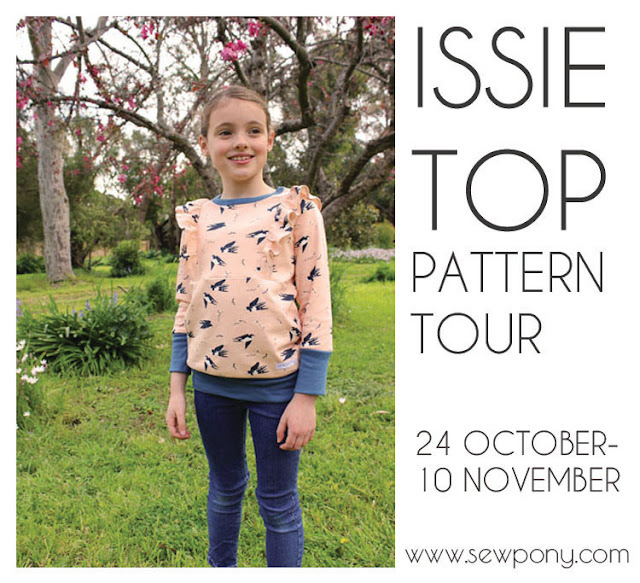 Until the end of the tour you can receive 10% off the purchase price of the Issie top by using code: ISSIERELEASE10. And guess what? Now you can also purchase the pattern in Dutch! Not useful if you speak English, but very useful if you speak Dutch! Thank you so much to Anke from Amore for the translation!!! Today three lovely ladies are sharing their Issie tops! Isabelle blogs at anais ID and has a wonderful instagram account called IsabelleDelaere. 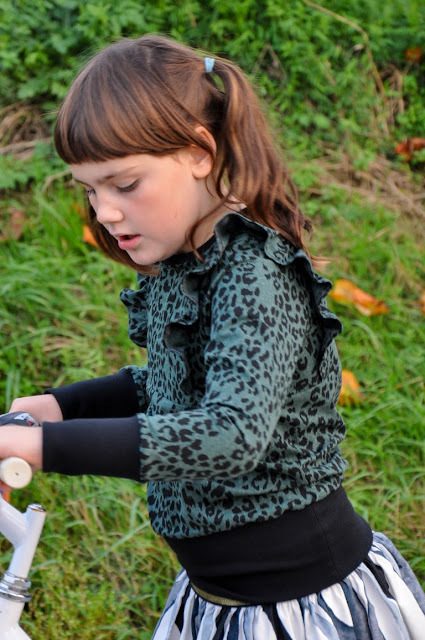 Isabelle lives in Belgium and sews mostly for her lovely kids. She helped with testing the Issie top and blew me away with one of the first Issie tops in the group (which you can see in the Dutch listing HERE). Isabelle is sharing four (!) Issie tops today! She made two for her daughter and two for her son!!! 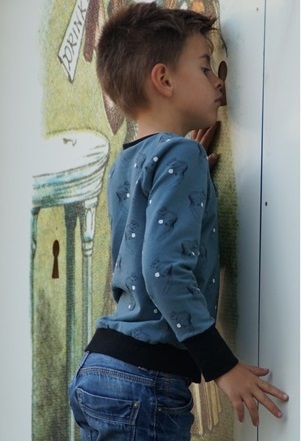 Yes the Issie top can be made for boys (sans ruffles of course!). Claudia shares her creations over on Instagram from frl.love . She applied to test the Issie top in size 12 and made some amazing tops for her daughter! 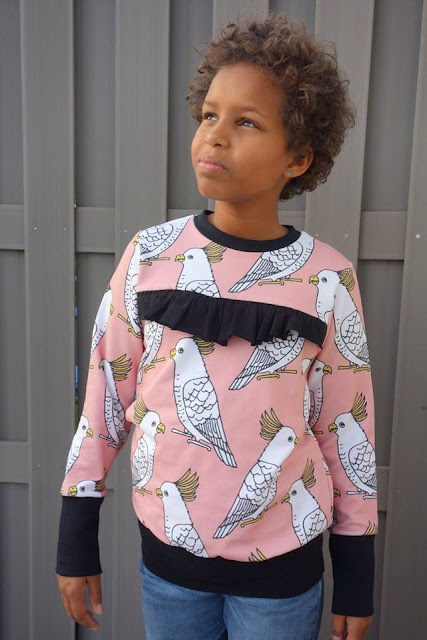 I was so excited to see the pattern made up on an older girl and her fabric choices for her tops (and her daughter) are just amazing so make sure to check out her instagram account. She has just uploaded a sweet Issie top video too!! Tinne blogs at Naaisgerief and has a lovely IG page. She is also sharing an abundance of Issie love today!!! Another four creations! Two tops for her older daughter, a top for her son and a dress for her younger daughter!!! I hope this demonstrates how adaptable the pattern can be! Tinne was also one of my great testers and I have been an admirer of her sewing for a while now. Make sure to check out her blog post to see all her amazing sewing! Thank you Isabelle, Claudia and Tinne for your beautiful sewing! Come back on Wednesday for more Issie love!